Recognised world-wide for it’s wild coastline & scenic wonders, the West Coast of the South Island is the perfect place to immerse yourself in towering rainforests, crashing waves and the wonder of nature. Visit the unusual Pancake Rocks on the Punakaiki Coast, named for their distinctive limestone form. Watch jets of seawater propel high into the air from the naturally formed blowholes. Take a leisurely stroll through fern-filled native forest and view abandoned settlements that once housed the miners who thrived here. The TranzAlpine traverse of the Southern Alps between Christchurch and Greymouth is one of the world’s great rail journeys. Offering a spectacular variety of scenery the train travels through a labyrinth of gorges and hills, crossing over viaducts and traveling through tunnels to arrive in Arthur’s Pass & then on to Greymouth. If you choose to add this option to your tour, we will meet you at the Arthur’s Pass or Greymouth train station to continue your tour by road. This is best as an overnight or multi-day tour but can be offered as single-day tour from Christchurch (this option excluds the visit to Punakaiki). 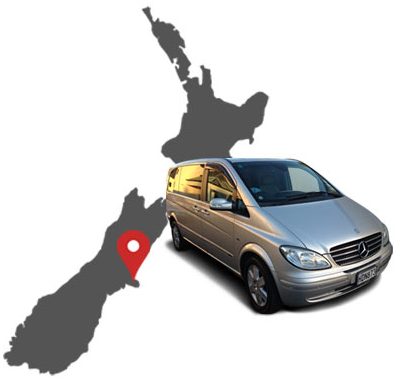 You may also continue south from Greymouth to explore Hokitika, Franz Josef & the glacier region en route to Wanaka, Queenstown & the Southern Lakes on a customised multi-day private charter tour.